Riverside's Mission Inn first opened in 1902 and was added on section by section so by 1931 the hotel took over a city block. Back in it's day it was THE place to go if an Angeleno wanted to escape LA. In 1985 it was closed for renovation that was expected to last for two years. It ended up being seven, reopening in 1992. The next year, they placed lights on at one entrance of the hotel. 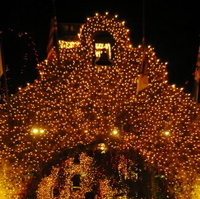 Each year, more lights and animated figures are added each year. I have to give the hometown it's due. It works. Last evening was packed––as it's been all week--with the locals strolling around the Mission Inn making a city a small town. Small shops stay open and the pedestrian activity is what urban planners dream of. The light structures and displays use "two million lights" in and around the grounds giving something for people to walk around and through. Now there's a small ice rink, not too many vendors, horse carriage rides around the hotel while local high school bands and choirs play. And the parking is free. There's no corporate retail around other than the just opened Coffee Bean and Tea Leaf. Many of shops and cafes around the Mission Inn were local institutions, that for a long time were the only ones willing to set up shop on Main Street in Riverside. It's grown into a downtown that developed a local identity and shares it during the holiday season. Added 12.26: An email asks if I know of any underground tunnels. Yes. There were a few. 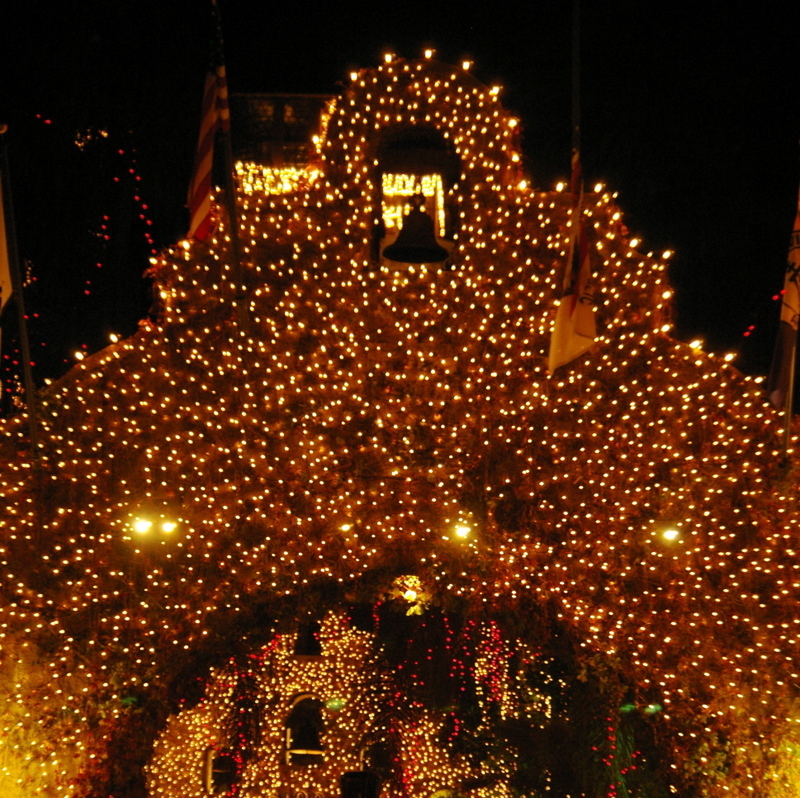 I got to explore, having worked at the Mission Inn in the early 80s.